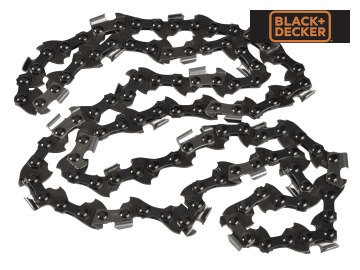 The Black and Decker A6295 35cm Replacement Chain has a 0.050in (1.3mm) gauge and a Semi Chisel Chain With Bumper Link, Low Profile 3/8in extended pitch. 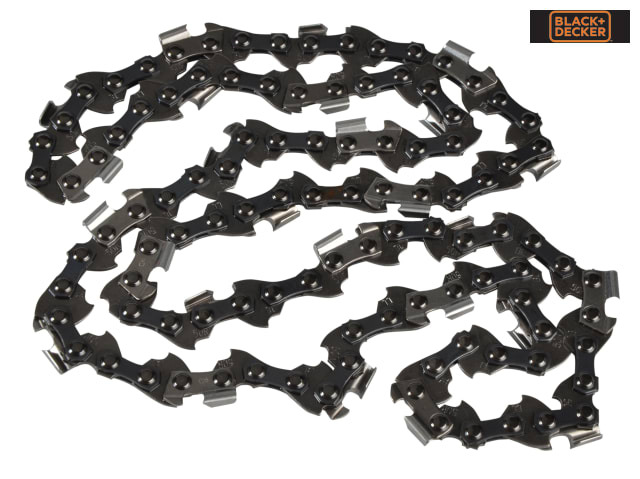 The bumper links help to reduce kickback (53 links) and conforms to the ANSI low kickback requirement. Easy to file and maintain using the Black and Decker® sharpening kit. Fits the following machines: GK1935, GK1935T, GK2235 and GK2235T.